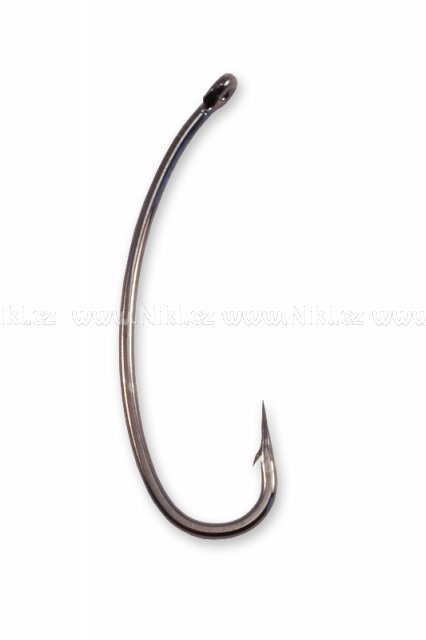 This hook took 3 years to develop and was secretly tested for 18 months until it was perfect and the exact shape and proportion of length was achieved. 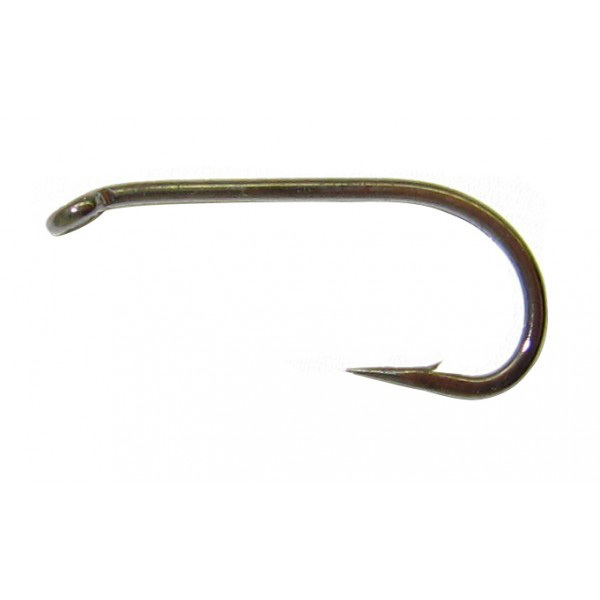 This hook is extremely strong and has a slight offset point which many anglers prefer. 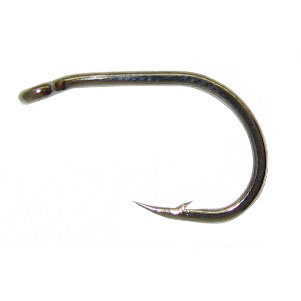 The curved shank creates a strong hook hold under tension and aids in a fast turnover to snag the mouth upon ejection. This hook is extremely strong and sharp but very light and is perfect to use with particles such as maize tiger nuts, etc. The Anti Snag Hook has been designed to increase hookup rates and minimize snags. The point is slightly tucked in to face the shank to reduce snags when retrieving the line. The ideal hook to use when fishing with bottom baits. As the name implies hook design is based on a standard specimen carp hook design. 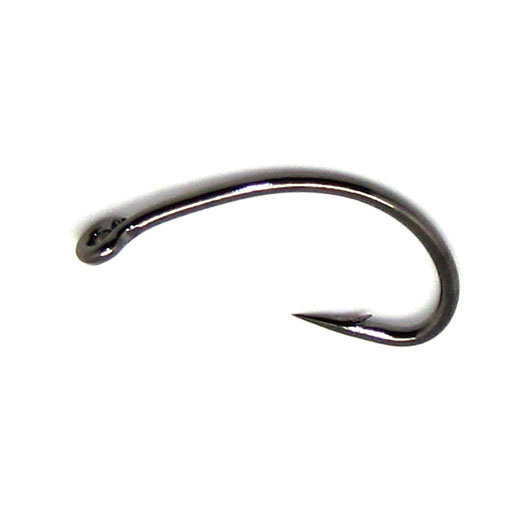 The hook is a fairly short shank with a wide gape and a thick shaft to minimize hook pulls. The ideal all purpose hook for bottom baits and pop-ups. 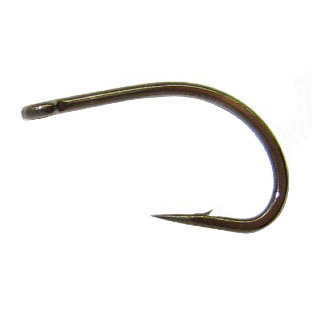 The D Rig hook has a long shank hook ideal for D Rigs and most bottom baits. 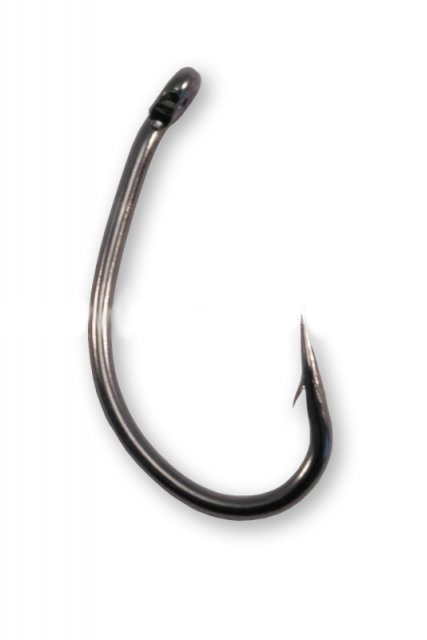 The longer shank helps the hook to turn into the fish?s mouth and is preferred by many anglers. 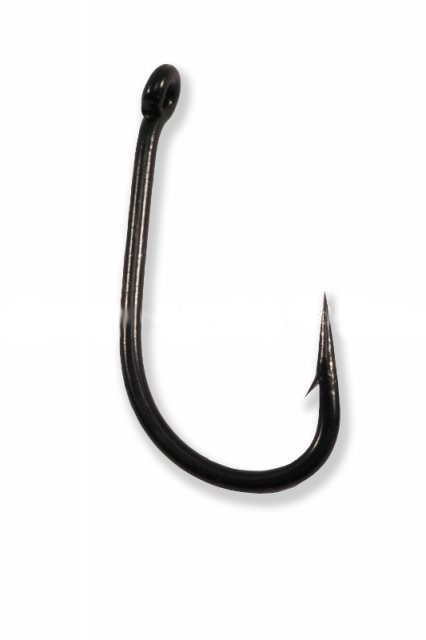 The Gripper Hook has been designed to increase hook-up rates. The point is slightly offset to ensure that the hook "turns" resulting in solid hook holds. The ideal hook to use when fishing with bottom baits and pop-ups. An ultra sharp and seriously strong bottom bait pattern which is perfect for use with particles or boilies. Big-T's have an extra tough bonded Teflon coating which provides a super slick finish that improves both penetration and point durability. This finish is designed to give a dull matt effect which eliminates glint and flash resulting in one of the most reliable, efficent and inconspicuous big Carp hooks available. Curve-Shanx have a precise contour and down-turned eye which continues this perfect curve. When tied to a flexible link such as soft braid or a stripped portion of coated Dyneema, they can be relied upon to turn over and provide a secure, correctly located hook hold virtually every time. The long, straight needle point is exceptionally sharp and combines with the low profile micro barb to aid penetration. Produced in super high carbon steel, the pattern is heavily forged for maximum strength and has a non-glare, ultra slick Teflon finish for improved durability. The Raptor D-7 has a 16 degree down turned eye and subtle curved point which is straight in line without any reverse. 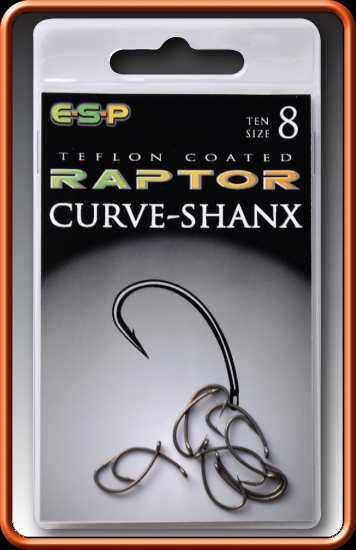 The shank has been left deliberately short and this critical combination of features provides the highest hooking ratio and the most secure hook hold. Produced in an extra strong wire gauge which is heavily forged.